Leon Debuts Brand New Line of In-Ceiling Speakers and Expanded Outdoor Audio Offerings at InfoComm 2018, Booth N2938 | KMB Communications, Inc.
At InfoComm 2018, Leon is pushing product development in other audio categories to give integrators more options than ever. Ann Arbor, MI – (May 2018) – Leon Speakers, an American manufacturer of design-driven custom audio and audiovisual solutions, will be exhibiting their full palette of products at this year’s InfoComm 2018 show (booth N2938) in Las Vegas from June 6–8. 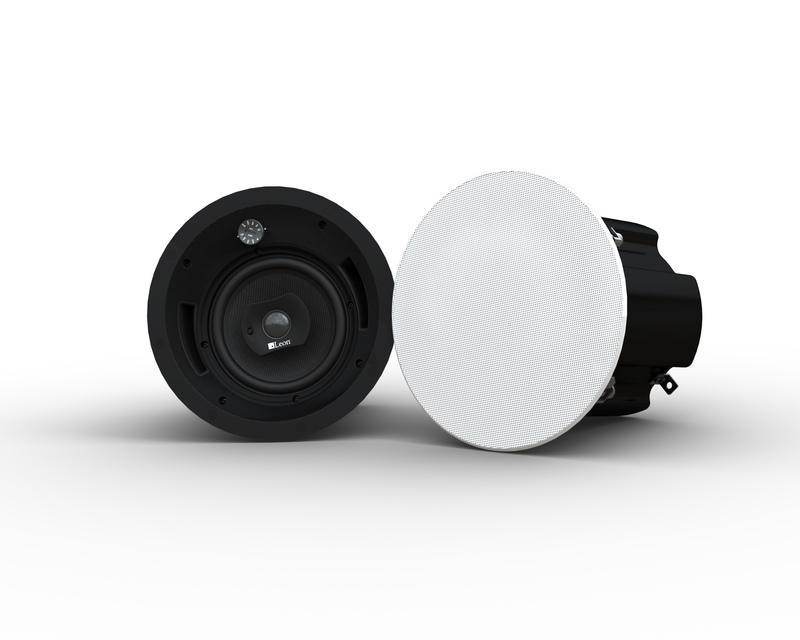 The company will be introducing new models to their in-ceiling line and showing an expansion of their outdoor speaker portfolio resulting from their recent acquisition of Terra Speakers. After much anticipation, the Axis Pro Design Series will be debuting at InfoComm 2018, the first commercial-grade in-ceiling speakers that Leon has offered. UL listed with plenum-rated steel back cans and 70-volt transformers, Axis Pro Design is available in three models and comes standard with circle grills, but is also available with square or custom-painted grills to match any finish. For ultimate customization, Leon’s new Décor Grills were designed exclusively for this new series and offer a variety of stylized models that are handcrafted from premium materials to add a unique aesthetic. Also new at Leon’s InfoComm 2018 booth will be the inclusion of Terra Speakers, the Maine-based speaker manufacturer that Leon announced their acquisition of earlier this month. Terra creates rugged, high-performance indoor and outdoor speakers that are built to last in any climate. The merger added over a dozen all-weather, IP67-rated speakers to Leon’s portfolio, including the AC Series and AC FIVE Series of outdoor speakers and subwoofers, and the LuminSound™ Series which incorporates LED lighting and sound in one design, perfect for outdoor landscapes. “Mixing art with audio and design with technology—that’s the vision that gave us life. Twenty years later, Leon continues to change the way we see technology. We’re excited to expand our product lines to offer more integration options than ever to meet the growing needs of the industry.” said Mike Fencil, Leon’s Commercial Sales Director.